I'm talking selfishly about mine (my living standards) during some of this post. 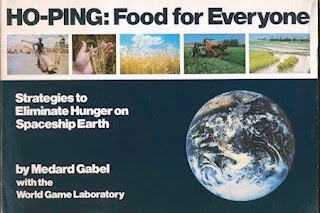 Earlier though, at Wanderers, Linus Pauling House on Hawthorne, I spoke with a former World Game player about Ho-ping ("Hoping"), a book by Medard Gabel regarding feeding the world's refugees (a term that's all embracing for tonight's purposes). My lifestyle has been abetted by Youtube and other services, such that I'm able to engage in scholarship to a degree even Princeton could not provide in the film strips dimension. Firestone and other libraries, had way more books. I spent time in the Math Library as well. But Youtube is a brilliant collection, getting better every day. I'm wondering why anyone would waste time in a high school library if they could stay home and take advantage of the comforts of a home with internet access, a maker space... many privileged kids seem eager to herd into schools when the best resources sit unused. That's a lot of driving, a lot of gas. Anyway, I won't angst about it. Schools are important for a lot of reasons and a healthy combination of homework and schoolwork is what we're all after, where work is a kind of schooling, where we continue learning, lifelong. Ed Lansdale and Averell Harriman were two of the interview subjects I was spending time with recently. General Lansdale, like me, lived in the Philippines during a difficult transition (I was there under martial law). He had two tours of duty in Vietnam, at a time when imperialists like Winston Churchill were eager to return to the status quo ante. The US did not yet think of itself as a colonial power, but was learning to move in that direction under the tutelage of former imperialists. Averill Harriman likewise had responsibilities in Indochina, and the Youtube I watched focused on his views following World War Two. He wasn't eager to see his government assume imperial responsibilities. Lansdale didn't lean that way either. The Wanderers guy and I talked about the Fuller Centennial in San Diego, organized by GENI. We don't hear a lot about GENI these days, the Global Energy Network lobby. This set of engineers wants to continue with the global electrification program, and not just in the sense of One Belt One Road. These blogs talk about it some: the Bridge to Nowhere project, all about rural electrification along the shores of the arctic rim. Alaska would be investing in HVDC by now had GENI not been derailed by neo-somethings. Well, maybe not, who knows. I'm not the electrical engineer in this picture. 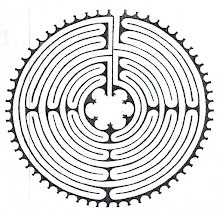 World Game was a way of reframing the global predicament in such a way as to reward syntropic strategies over entropic ones. The thermodynamics of thermonuclear war are such that game theorists with a more evolved understanding moved towards deescalating while fomenting global business, a competitive game with collaborative elements. However the left behind nationalists did not necessarily see where this logic was taking us and reacted by demanding elective wars. Which they got. The reframing was not 100% effective in other words. We may debate whether it was effective enough. Just a few minutes ago, I was sucking stock market stats through a free API, the better to plot them using open source tools. If you've managed to hop on board the bandwagon, you have the ability to harness machine learning to your own ends, which may be quite benign. I've used the LinkedIn platform to cue venture capitalists to their opportunities, when it comes to making philanthropic giving into an arcade style sport. We already have Video Poker and such attractions. Gambling is legal if the beneficiary is a sovereign state. I've been having breakfasts with Terry Bristol, president of ISEPP, regarding his Engineering Philosophy meme, by which he means a brand of pragmatism customized to give engineers (social and otherwise) a context wherein a notion of moral responsibility is not at all an oxymoron. Engineers are moral agents. What Terry is up against is fatalism, though it's called other things: an ideology of zero culpability (impunity) because the outcome is foreordained. Some brands of Protestantism embrace fatalism, which becomes an excuse, basically, for sitting on one's hands and doing nothing, in the face of suffering, because the outcome is predetermined. Determinism and fatalism go together, I think that much is clear, but then we think of "fatalism" more as a superstition, whereas, until recently at least, the determinist, like the materialist, was considered the most no-nonsense type of thinker in the room. Indeterminism was considered too romantic and/or Pollyanna. A kind of popularism kicks in here, wherein fatalism combines forces with Malthusianism and thermodynamics to where, since entropy always increases (2nd law), the world is ipso facto going to hell, and the best we might wish for is (A) a Second Coming and an end to life as we know it and/or (B) a better hell for us than for them, where "them" is the competition (the Eastern Orthodox?). Those who see hell as the final outcome regardless, are not averse to accelerating in that direction, which is where WMDs etc. come into the picture. Humans will spontaneously use massively destructive weapons against themselves given they're eager to accelerate towards one preferred hell over another. Bombing is seen as a form of steering. Resistance to fatalism comes in many forms, but comes most effectively from engineers (social and otherwise) in a position to offer alternative chemical and/or nuclear reactions that locally lower entropy for humans aboard Spaceship Earth. Lowering local entropy is not against thermodynamics as local open systems are free to import heat from their surroundings. Gibbs and Helmholtz both give us notions of "free energy" meaning energy available to spontaneous chemical reactions. Spontaneously decreasing entropy happens, for example, when we charge a battery with solar panels and/or windmills. The increasing entropy is happening in the sun (the energy source), which is running downhill towards its future fate. We still have room for a deterministic future for the local star, and for Earth (heat death). The difference between syntropists and entropists has to do with their different understandings of what science allows. The fatalists see themselves blamelessly steering towards a preferred hell in a zero sum game, whereas the syntropists are more interested in backing away from hell and focusing on win-win solutions (Terry is in this camp). Both have their own brands of mathematics, used to recruit new followers. Deke and I thought winter had missed its last window and no snow was in the offing. Man were we wrong. So far we've enjoyed two days of white fluff, today more dramatic than yesterday, and they say more is coming. Given the whole city shuts down when any snow happens (Portland wimps out, doesn't have the cold muscles Minnesota does), I thought maybe Bagdad's matinee showings of Black Panther might be somewhat lightly attended. Wrong again. The place was packed. Deke and I picked interesting seats, balcony throughway, plenty of leg room, not cushy. Wonder Woman and Black Panther have much in common. Both are from hidden worlds, relatively peaceful, yet highly disciplined, and metaphysically advanced. The Wakanda culture has control of psychedelics, in addition to a huge supply of Unobtainium, called Vibranium, which they've obtained in abundance (in metaphor, a wise spirit, rare on earth). In both cases, a nasty degraded outer world, ours, crashes into their utopian sphere, and in both cases a spy features, as one who makes it through to the hidden Valhalla. In Black Panther, it's the CIA white guy, someone already in on the secret, but only partly. An Australian counterpart perks his interest in finding out more of the backstory. 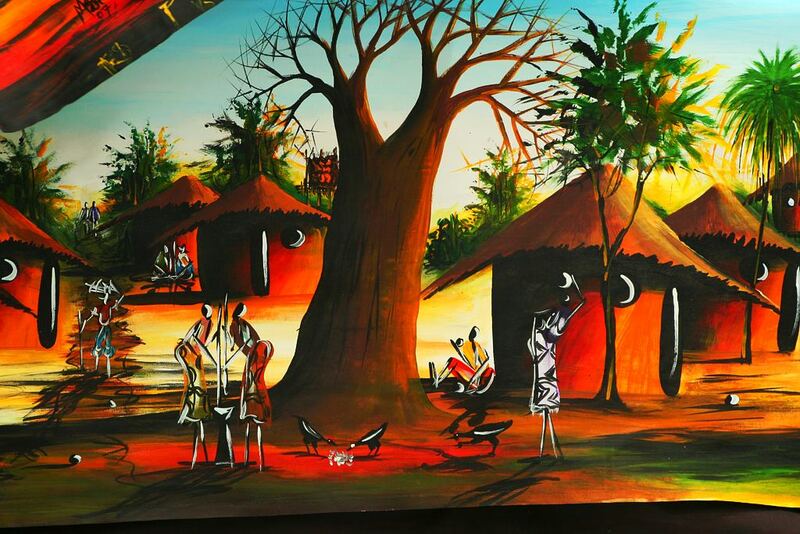 He gets his wish by putting himself in harm's way for a Wakandan, and thereby comes within their sphere. Both the Amazonians and the Wakandans have to grapple with the nasty business of trying to help a nasty world. The Amazonians see this as a mission whereas Wakanda has tried hard to stay out of it. I'm left wondering how much the average Wakandan ever learns about Korea. I suspect the fact of an outer world is kept a secret among the ruling caste. On the other hand, its military seems ready to fly around the planet... Compassion for common humanity is what leads the rebels to willingly share their Vibranium. Now that Marvel has planted so much imagery, one might hope for more backstory. I'm not sure why the Oakland guy ordered destroying the psychedelics, a sign of less control. If it were easy enough to get growing again, why the melodrama. If that was really the last, only crop, then are they out? No one seemed all that worried about it. Lots of loose ends. If you want to see all the movie snippets possible make sure you stay until the very end. I'm talking about well after the speech at the UN, where we get a glimpse of some whole new character, another outsider, making his debut. Like I said, the film raises way more questions than it answers. Given the South African vibe, I can understand where Marvel might be coming from with Wakanda, aka Ubuntu and high technology. The promise of positive futurism in Africa is still there, even with the AIDS epidemic (about which many movies are still being made). Cities that are fun to live in and aren't violence prone, like Oakland, will benefit from a true valuing of what the geek economy is bringing into the equations. I'm not saying Ubuntu is a weapon. On the contrary, the King of Wakanda was not promising to share weapons at the UN, just advanced civilian stuff (like Ubuntu). The idea of superheros and superhumans hearkens back to Gnostic tales of the angels, some of which made it into the Bible. Satan's people were lightyears ahead of humans, like ETs with advanced civilizations. Through their eyes, one sees through the eyes of a misanthrope sometimes, and this paradoxically aids human intelligence. We come to appreciate our weaknesses, to marvel at ourselves as uber-weak. This helps us grow. Comic books have always helped people appreciate religious teachings, even if the pantheon is often pagan in the sense of "some unbelievable system". What is "Work" in GST? I was blessed with a visit from Sam Lanahan today. He was fresh from a concrete convention, which had worn him out. Turns out Flextegrity has applications as a replacement for rebar. Asian markets may understand it best, given they're in surge mode while a wartime economy (what the US enjoys) of necessity involves throttling back (applying the brakes, in other words). By Flextegrity I mean to include C6XTY. See the newest version of Sam's book. Mostly I'm cramming on statistics, going back to high school days and relearning about how sample variance and population variance each need their own formula. I'm moving into linear equations territory (y = wx + b and back propagation by means of gradient descent i.e. multi-variable calculus and machine learning) not because I expect to become a data scientist, but because I'm a Python instructor. Like a piano teacher, these are the pieces I'm expected to play and relay. Remember, statistical (stochastic) algorithms were developed in the social sciences and ported over to thermodynamics. If "entropy" still has the flavor of "political chaos" there may be reasons why. Sometimes "entropy" is a positive, as in cryptography, as true randomness proves problematic in a deterministic universe. A legitimate source of chaos proves a godsend. By God's grace alone are we liberated from our own robot-hood. Automaticity rules, a sin which can and will be used against us. The many jargons (shop talks) bleed in both directions across their bordering membrane barriers, I can hear Peter Sloterdijk intoning, in native German. For example: energy the way the physicists mean it, as work, has to mean something in terms of economics (having a job, or jobs) as well. Take the Latin word "tractatus", a root for "traction" "tractor" and even "tract" as in "opera" or "opus" i.e. a dramatic "work" (Gilbert & Sullivan). People work hard to star in soap operas (an expression of their wish to remain clean?). The meaning of "work" is not a constant, in that "joules and calories" vie with "dollars and yen" to express work's value. "To keep up this rate of energy expenditure (horse power), I'll need to be fed" -- that's just physics. Capitalism fantasizes not being responsible for human welfare thanks to robots. But what can robots really do? That's an ongoing exploration. As general systems theory (GST) authors (Kenneth Boulding etc.) would sometimes talk about: current and currency have much in common, in terms of the cyber metaphors applied. Both dollars and electrons "flow" and without a steady flow of dollars (US, Canadian...), or other denomination, the "machinery" grinds to a standstill. Cash liquidity is like oil: grease the wheels. We have our ways of repaying favors. A big problem (challenge) around World Game is ivory tower types devise the ground rules and spin out these board games, theoretically playable. However, given still emerging facts about human psychology, animal psychology, physics, other sciences, it turns out these games aren't always that playable as envisioned. The ivory tower, full of know-it-alls, turns out to be not so all-knowing after all, an old story. In practice, the rules need to be tweaked, if not overhauled, and pretty soon we're in some unknown territory where in people draw upon their own moral compasses regarding what's ethical. They're disobedient. This state of affairs is associated with higher entropy and "corruption". People are not following the edicts properly. They're in violation. A scandal. History then turns into a procession of scandals, as the game architects continue to spin out one unplayable game after another. MAGA = Make America Great Again. I've always admired how this admission of un-greatness became a patriotic slogan. Quite a spin. A question is, how would a globalist such as myself seek to rekindle nationalist pride in these United States of America? Why not take it on as a challenge, even if only as a hypothetical? I'd go back to the 1980s and focus on the great American Buckminster Fuller's prescient take on corporate personhood in Grunch of Giants. As a futurist, he was pretty good at anticipating memes. He also proclaimed the innocence of the American people while consigning an obsolete version of the USG to the ash heap of history. Skeptics will point to Fuller's big mistake: he anticipated a "design science revolution" that would rescue us from immanent catastrophe and put the world on a better track, one involving engineering over politics, General Systems Theory (GST) over LAWCAP (i.e. lawyer-capitalist) economics. I'd counter that the design science revolution indeed occurred, and is continuing, but was branded as the Open Source Revolution, with Portland, Oregon a capital. OSCON (O'Reilly's Open Source Convention) is coming back this year, after twice trying to get away from the Oregon vortex. A lot of journalists maybe think said open source revolution was a bust, judging from how the Dot Com Bubble left so many investors in the lurch. A few made out like bandits, but the narrative, about Linux and free software dominating the world, seemed to have fizzled. The documentary Revolution OS provides good background. I'd disagree with this analysis. So-called capitalism runs atop these design science layers, even if LAWCAP's bookkeeping fails to properly value their worth. Where would we be without Python or NodeJS? That's a rhetorical question. The new USA operating system (USG prototype) that's emerging in our midst already contains a hard reset in the 1980s and hasn't been on board with the Grunch in more recent pre-emptive, unilateral invasions and naked attacks. Imperialism is for the birds. The transparently mercenary activities of those abandoning the US Constitution is making history for sure. I'm not claiming this story-line is going to be popular or well-known. That was more of an exercise in consistency. The new USA is not at war with Iran and seeks nuclear disarmament. Let the LAWCAP puppets say otherwise. Their credibility is already shot in my book. They lied about Vietnam. They lied about Iraq and Afghanistan. I waited until Superbowl Sunday (LII i.e. 52) to think back on this movie. My main takeaway was "well crafted" in terms of summarizing the issues and relationships and adding to CR (consensus reality) in the form of a Spielberg movie, with big name stars. The release of the Pentagon Papers, as they came to be called, is important to tackle and retell. I'm glad to see the movie industry rising to the occasion. McNamara tells Graham, the publisher, that the Pentagon Papers are not for the present, but for posterity. We're explaining in retrospect how the American War came to be lost by its losers. Those living in the Nixon Era should keep fighting to win, as that was their patriotic duty at the time. McNamara wanted to keep his top secrets for the present. Confusing, to have time machines bumping into each other like this. Are we allowed to seize the day? Lots of young people were dying, or evading the draft, or being held as political prisoners. The hypocrisy of fighting for something called "freedom" overseas made for plenty of cognitive dissonance. How does one consciously choose to "live in the past". It's something one does out of habit. When awareness expands, there's no going back by simply willing it. The cognoscenti in the District of Columbia now knew too much to just sit on it. They had a role in the immediate present. Katharine Graham, played by Meryl Streep, has to break with McNamara and do her job. The women have to explain to the men that they're not just taking orders or accepting the status quo they've been handed. A sense of women pursuing their trajectories, building on past gains, pervades the storytelling. In our day and age, we have another president embroiled in melodrama around secrets. 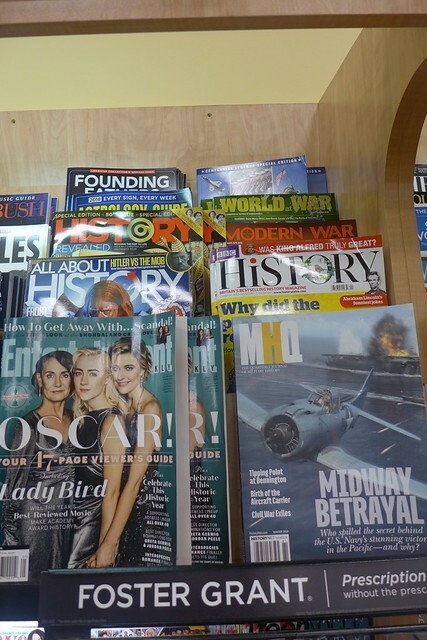 Should they be published and what do they mean? Humans have been becoming increasingly skeptical that they're but extras in power games engaged in by various insider cabals. Transparency in the courts, and in government, was a way of countering the willful opacity of oligarchs. Democracy was to be our leap forward. People remember that and bring it up a lot during these important years, in this script at least. The Cold War was being fought in the same vein, with the USA an ethical champion. The other side, the enemy, might be deceptive and manipulative, but "our side" was definitely about serving the people. FDR helped inspire such sentiments. Daniel Ellsberg and company decided their higher duty was to shed light on the hidden "secondary process" rather than remain complicit in a cover up. This movie clearly shows his motivations, and underlines how widely they were shared. Nixon's cabal was beginning to unravel. Dr. Tag, my Palestinian friend, invited me to take in this film with her. She accomplished the impossible: finding a parking space near the theater, that time of night. I'd more or less given up and was thinking about how we might reschedule for another day. Then we went to Henry's Tavern, the Weinhard brewery's flagship establishment, to discuss the film and its present context.